Happy Friday! 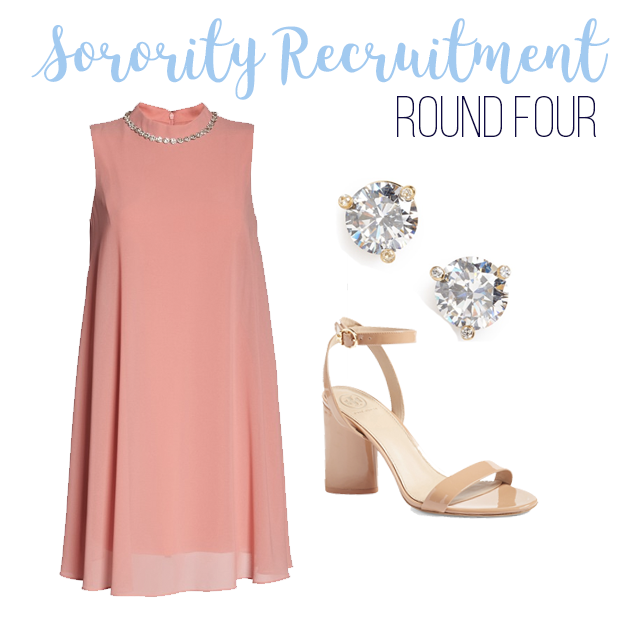 Today is the last part in my week long series about what to wear for sorority recruitment. On Monday, I talked about Rounds 1 and 2. On Wednesday, I talked about Round 3, and today I am talking about the most important day: Round 4 aka Preference Round. Pref night is the last night you visit houses before bid day. It's an incredibly emotional day, or at least it was for me, and this is the nicest day for outfits. At some schools, PNMs wear a certain color dress like black or white. I know at UGA all PNMs wear black dresses for pref night, but at Alabama PNMs can wear any color they want. The general idea for what to wear is something you would wear to an evening wedding. Shift dresses work really well, and dresses with lace details and chiffon work too! For heels I defintely recommend block heels because they're easier to walk in and more comfortable. I didn't create a bid day look because they are so different from school to school. As for Bid Day at Alabama, PNMs wear shorts, a tank, and comfortable shoes to run to their house in because once you get to your new house, you put on a lettered jersey over your tank. I know some schools like UGA and Kentucky have PNMs wear white dresses. Again, check to see if your school has any specific guidelines for what to wear on Bid Day. I hope this series was at least a little bit helpful for y'all! It's super important to remember that what I picked is all stuff I would wear, so if your style doesn't match mine, don't think you have to change what you're comfortable in to fit the stereotype because you want to be in a house that accepts you for you, not what you think a sorority girl looks like. Again you can see what I wore in this post, and you can read all about my recruitment experience here. 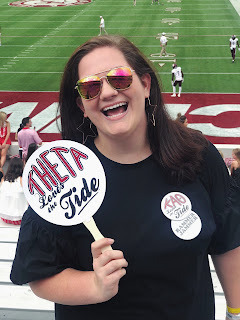 I have a couple more sorority themed posts coming up in the next few weeks, so be on the lookout for those.